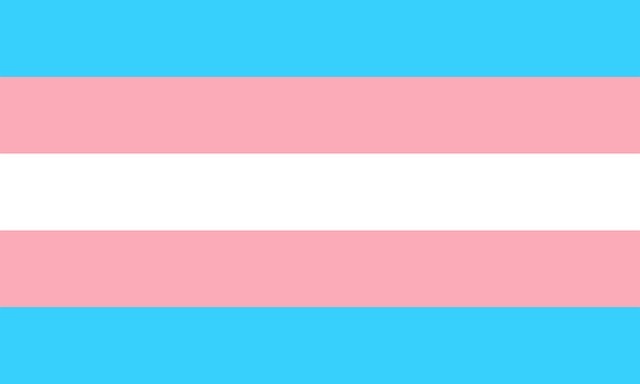 Transphobia: A sense of disgust, hatred, dislike, or fear of people whose identity falls outside conventional societal gender norms. I was prompted to write about transphobia by a close family member who identifies as transgender. She – and I – are concerned about the uptick in violence towards anyone perceived as “the other”, especially those folks who do not conform to binary gender roles. This is another result of the rise of right-wing extremists, unleashed by the GOP and their bigoted leadership (especially in the White House). Aside #1: To those who insist, even now, that 45 has always been “pro-LGBTQ”, let me remind you that there have been many anti-LGBTQ policies and “recommendations” since 45’s been in office (for a list of just a few, see “Trump promised to be LGBTQ-friendly. His first year in office proved it was a giant con”, German Lopez, Vox website, 1/22/18). There has been an 86% increase in anti-LGBTQ violence since 45 took office (“Report Shows Massive Increase in Anti-LGBTQ Violence Since Trump Took Office”, David Lorh, Huffington Post online, 1/22/18). That includes 52 hate-based homicides. I’m sure I don’t have to tell you that even 1 homicide is too much. This is scary stuff. From harassment by bigots online, to homicides committed against people for just being themselves, the increase in hateful words and murderous deeds should worry everyone who has a heart and a conscience. Considering that conservative estimates are that 4.1% of Americans, or 10 million, identify – at least to Gallup and other pollsters – as LGBTQ, chances are that you probably know someone, or are related to someone, who is LGBTQ. That includes 7.3% of Millennials, who report the largest numbers overall (“In U.S., More Adults Identifying as LGBTQ”, Gary J. Gates, Gallup website, 1/11/17). Those are just the people who report that they are LGBTQ, however. Especially in this current climate, the numbers could be higher. My point is, even if you don’t care about this issue, this danger, as something likely to happen to you, it’s quite possible it will be important to someone you care about. Someone you care about could be suffering from bullying, or worse. All because of who they are. How is that, in any way, acceptable to a society which (used to) pride itself on its tolerance and diversity? And what can we, as allies, do about it? Well, I’m happy you wondered that, because I ran across an article on the GLAAD (Gay and Lesbian Alliance Against Defamation) website called “Tips for Allies of Transgender People”. It’s a short read, but it lays down the basics of how to support people and how not to be part of the problem. Tips include: don’t out someone, don’t ask them what their “real name” is, don’t make assumptions about their sexual orientation (that’s different from gender identity), respect how they refer to themselves (this includes pronouns), and don’t try to show your support by giving them backhanded compliments (“You look just like a real woman”). In terms of addressing broader issues such as bathroom access, civil rights, and anti-LGBTQ sentiment voiced by people in the general public, you can and should at the very least educate people. For example, the idea that allowing transgender people to use public bathrooms will put children and women in danger of being victimized by sexual predators is a straight-up myth. Yet, time and time again I hear this “argument” bandied about by people who really ought to know better. It’s important that we explain to people why this is not true. A great article on this is called “Church More Dangerous for Kids Than Transgender Bathrooms”, on the Patheos website. I like it because it provides a familiar reference point for many of the people who think this myth is true – church. Many of the folks who spread this false information are religious. Aside #2: Yeah, even the “hate the sin, love the sinner” types who think it’s ok to be transgender as long as it’s “not in their face” or in any way connected to being actively gay/lesbian. Sigh. 1. 90% of child molesters target children of family members and friends, and the majority are men married to women (The Child Molestation Research and Prevention Institute). Not strangers. 2. From 1950-2013, over 17,000 victims made sexual abuse accusations against Catholic clerics (US Conference of Bishops Report, 2014). 3. Lest the person you are trying to educate thinks this is all confined to the Catholic Church, a group of Protestants has launched a program called “Godly Response to Abuse in the Christian Environment” (GRACE) that addresses this problem. They state that there are, on average, 70 accusations of sexual abuse per week within Protestant churches. Then you can finish your educational session by citing the statement from over 300 experts in sexual assault prevention that says giving transgender people the right to use the correct bathroom (as defined by them, not by you or anyone else) does not put women or children at risk for sexual assault (National Alliance to End Sexual Violence as quoted by the National Center for Transgender Equality website). You can also do the many things progressives do to support any cause they care about, as well. Things like writing your Congressperson, signing petitions, joining/supporting organizations, voting out bigots, and attending rallies and town halls. And, also important – listening. Not inserting your issues into the discussion. Being supportive. A good resource is the largest family and ally organization that helps LGBTQ people and those who love them: Parents and Friends of Lesbians and Gays (PFLAG), founded in 1973. They support LGBTQ causes and oppose bigotry and “conversion therapy”. They have local chapters, and there is probably one near you. Aside #3: Of course, there isn’t a chapter within 50 miles of where I live, but there is one in Memphis. Another reason I really need to move. Even if you don’t know any LGBTQ people, it’s worth checking out some of these websites I cited, just for your own political/personal development. Chances are, you’ll run smack into a bigot one of these days, and it’s nice to have a well-rounded point of view to convey. Because saying nothing is not an option. Not when the bigots are so loud, so prevalent, and so sure that no one will challenge them. We can’t let that slide. We need to stand up for others. Weird news of the week: Dumb place of the week award goes to Saginaw, Michigan, where a customer at a fitness center caused a panic when he showed the name of a WiFi network called “Remote Detonator” to a manager. The manager evacuated the place and called the cops (“WiFi Network Called ‘Remote Detonator’ Prompts Gym Evacuation”, Associated Press via the ABC News website, 4/16/18). Bonus weirdness: Former FBI Director James Comey meets Ghostface Killah and Method Man from Wu-Tang Clan backstage at “The Late Show with Stephen Colbert” (Spin website, scroll down to the bottom of the page). It just seemed surreal to me. Recommendation of the week: The websites I mentioned in this post are my recommendations for this week. I haven’t done much this week except hobble around with my sore toe and curse the snow that won’t seem to go away! Be good. Be kind. Be a good and kind ally. This entry was posted in Social Issues and tagged "bathroom laws", anti-LGBTQ violence, assault, GRACE, James Comey, LGBTQ, LGBTQ allies, PFLAG, transgender, Wu-Tang Clan on April 19, 2018 by Victoria.